Achieve the features you want without going under the knife. Plastic surgery can be risky and sometimes with prolonged unwanted healing times. Expert use of Dermal Filler with cutting edge techniques can be used to sculpt the chin, jawline, nose and create an overall more balanced and symmetric face shape. No knives, no scars, no crazy healing times. Non-surgical rhinoplasty utilizes fillers such as Teosyal and Restylane to sculpt the nasal bridge and is extremely effective in correcting a bump or straighten a slightly crooked nose. 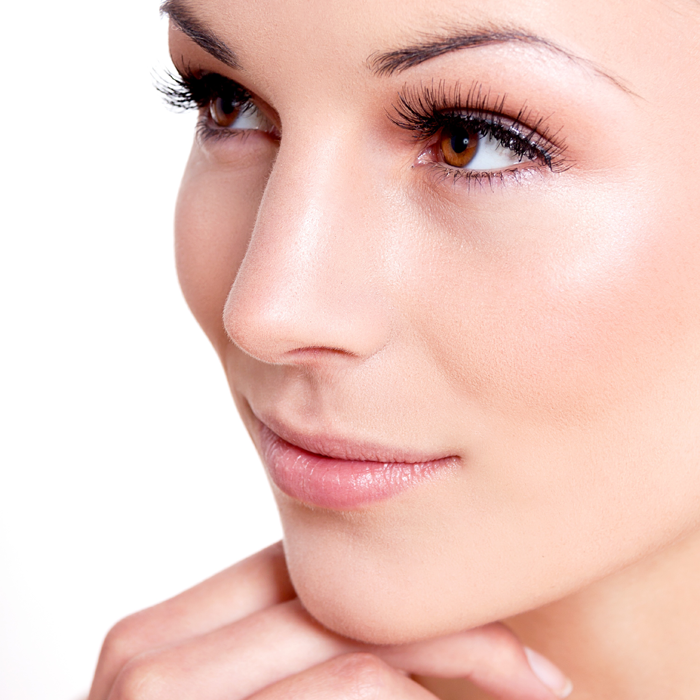 Fillers will not make the nose larger, by reshaping, the nose can actually look thinner. A wonderful alternative to going under the knife for nasal correction, this non surgical, no-downtime procedure is very popular in achieving results that last up to a year at a time, making it a low commitment change.